The PGV Jar-Top Valve is a reliable choice for residential service with its simplistic operation and ease of maintenance. No tools are needed for servicing this valve. The quality performance can handle the demands of any residential system. It offers a wide range of configurations to fit almost any installation specifications, in any region. Constructed of high grade PVC that is corrosive and UV resistant. 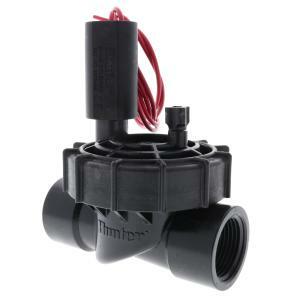 Glass reinforced jarring and Hunter’s rugged, double-beaded, leak proof diaphragm with support to prevent stress failure. The PGV valves can be fitted with Hunter's DC Latching Solenoid (sold separately) to operate valves with a DC controller.